Our company produces Bitto, first flower, scimudin, butter, cottage cheese, all cheeses with an unmistakable fragrance, made with milk from our Italian Brown Swiss cows. We breed more than 100 head of cattle including cattle, horses, sheep and goats and pigs. Each graze in our Alps, which is why the meats are so fresh and tasty. 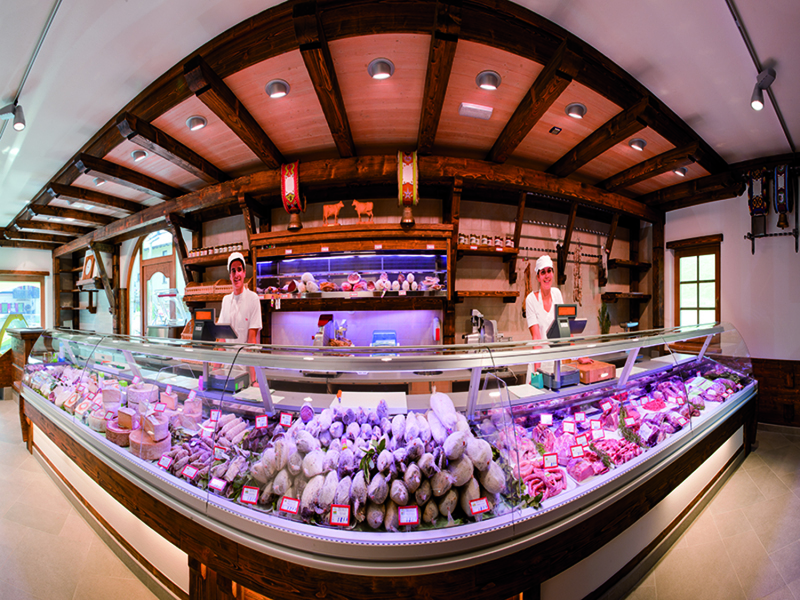 Speck, slinzegha, bacon, salami, violins, salami, sausages, ham, fresh meat and many others of our products you can find them at the store in the pedestrian zone or in the farm shop.